The Election Commission is yet to announce the dates of Bihar assembly elections, but Chief Election Commissioner Nasim Zaidi on Saturday said the poll process in the state will be completed before November 29. Zaidi’s announcement puts a lid on speculations that the polls were heading to dates beyond November 29, the day the tenure of the present assembly expires. The speculations fuelled as August and September are times of floods in the state and this period will be followed by festivals like Bakri Id, Dushehra, Muharram, Diwali and Chhath slated for October and November. President’s Rule would have to be imposed in the state if the election process is not over by November 29. Zaidi was on a two-day visit to Patna for review meeting on preparedness for assembly elections. He met representatives of 10 national and state parties, as well as, top administrative officers, including the chief secretary and the Director General of Police. The CEC expressed satisfaction over his meeting with state government officials. Zaidi said Bihar Chief Secretary Anjani Kumar Singh and DGP P K Thakur have assured him that the model code of conduct will be strictly implemented and communal harmony maintained at all cost. The CEC said all political parties have demanded deployment of Central Paramilitary Forces on all polling centres to ensure free and fair voting and the EC will consider the demand. “Our effort will be to deploy more CPMF personnel in comparison to the numbers used in the previous assembly elections in the state in 2010,” Zaidi said. The total number of polling stations in Bihar has risen to over 63,000, around 3,000 more than the ones during the previous polls, he said. The CEC said all out efforts will be made to conduct free, peaceful highly participatory polls and all government officials working in the state will be under keen observation of EC till the elections are completed. 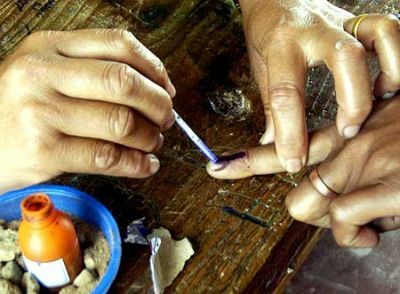 The CEC said as per photo electoral rolls published in the state on July 31, there were 6.68 crore voters in Bihar, of which 3.56 crore were male.